Topbox Circle is offering yet another free sample today! 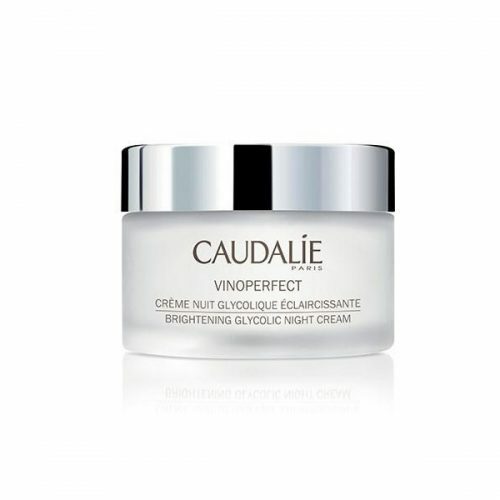 For a limited time get a free of Caudalie Vinoperfect Night Cream. To request your sample just complete the form and submit it. Your sample should ship in about 2-3 weeks. If clicking the link below does not open the page properly, copy that link from your address bar and paste it in another browser or window and see if that works. It’s the correct link so please refrain from telling me it doesn’t work and try the solution I just mentioned. It may give you the message that there are too many requests in progress. If that is the case, simply keep trying as it should work again shortly. I clicked on the link, filled out the information, and it said this item is sold out. Is it a scam? trying to get email address from us? If it’s sold out why is it still asking for my information? Do not fall for this scam!!! How can we be so sure they are legit, not a valid, strong enough statement. even though i tried as soon as they went live, last 3 samples they offered didn’t work. they get all the information and get you to subscribe to instagram and all but then they say no more samples available. Many people got them, I’m sorry you weren’t able to. They were available from the evening until about 9am the next morning when they ran out, so perhaps you should have tried again. TopBox Circle is a valid company. I missed out on the last samples because clearly they’ve become very popular, but I have gotten other ones from them. Don’t call things a scam just because you didn’t get a sample you wanted. First come, first serve! If you don’t want to follow these companies on Instagram or email then go to your nearest Sephora and they will make you a sample. Geez! Thank you Jo 🙂 I don’t think people realize that these samples are more popular in makeup groups than they are in savings and coupon groups lol. Topbox subscribers receive emails about these samples often times and they are spread very quickly. I’m surprised by the negative comments actually as many high end deluxe cosmetic samples come through topbox. For the mascara the other day I got the sold out message only after I gave them my information. I have gotten samples from them in the past, they are legit.